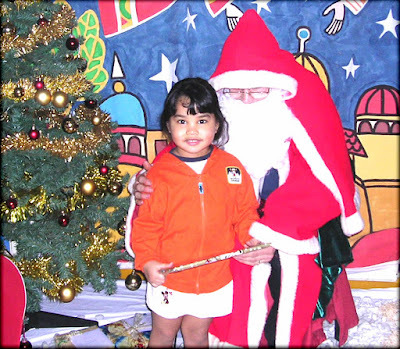 This was taken 2005 at my first school here in England. I was only 4 yrs old and attended playgroup at TodHoal Nursery. Here in UK you start school at the age of 3 but it was not new to me since I start school at the age of 2 yrs old back in Philippines. Anyway, here's me and Father Christmas. He gave me a present and I was so delighted and excited about it. Can't wait for this year's Christmas. Got to see Father Christmas again. SOmething that I look forward every year.